Mr Scott Morrison, the unexpected winner of a right-wing coup against PM Malcom Turnbull immediately showed what he stood for after he informed the Aussies that one his first tasks as new PM was to invite US President Donald Trump over for a visit. As spokesman for the new PM stated: "Both underlined the strength and depth of our alliance and the unbreakable friendship between Australia and the United States." 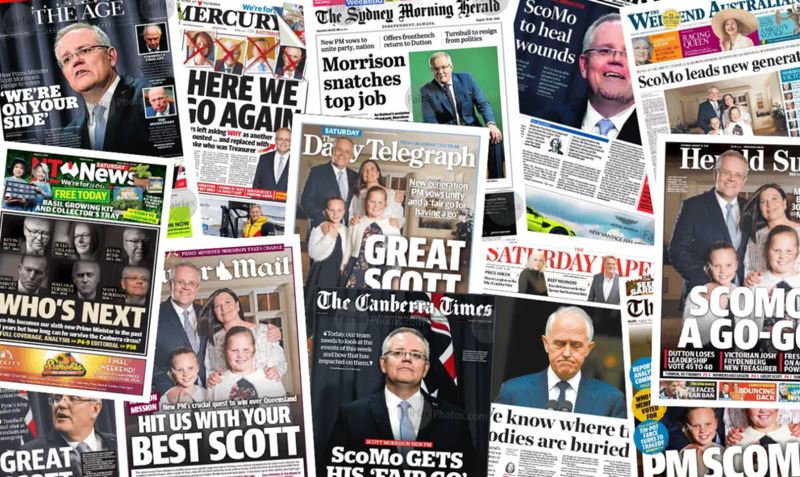 Related coverage: <a href="http://thegoldwater.com/news/34926-Australia-Turnbull-Loses-Leadership-Contest-Scott-Morrison-New-PM"> Australia - Turnbull Loses Leadership Contest, Scott Morrison New PM</a>. Mr Morrison, the evangelical who is leading a right-wing revolt within the liberal party, probably hopes that a good tug to the right will make sure his party can stay in office when Australia holds elections next year. Mr Trump confirmed the call and congratulated Mr Morrison in a tweet, saying there are "no greater friends than the United States and Australia." Related coverage: <a href="https://thegoldwater.com/news/33807-Australia-Prime-Minister-Turnbull-s-Popularity-Sinks-To-Lows#33824"> Australia - Prime Minister Turnbull's Popularity Sinks To Lows</a>. A lot will now depend on whether the conservatives within the liberal party, who would have liked to see Mr Peter Dutton as Mr Malcolm Turnbull’s replacement, will follow Mr Scott Morrison’s leadership, or will quietly try another revolution. We predict that in case of the latter, the Liberals stand to lose much more. Given the little time remaining to look unified as a party and present a new, more right-wing platform for Australian voters, Mr Morrison better get on with it. The evangelical Christian who once turned back migrant boats may not be the dream man for the job, but given the Australian mood as of late, he might just be the saviour that they need. Morrison was a rather soft turn to the right, But predecessor was as confused as much as he was left... Dutton would have been a more decisive right, More what is needed in the current critical destruction of civilisation by hordes of savages.